The Metabolic Theory of Ecology suggests that metabolism may control processes like feeding, growth, and reproduction of individuals, and also characteristics of animal communities, such as biodiversity. In an article published recently in Ecology, scientists found that invertebrates in the deep ocean fed at rates that fit this theory. The assumption that feeding is proportional to metabolism is central to the theory and had not previously been successfully tested in this challenging environment. As part of this research, scientists estimated the feeding behaviour of several deep-sea invertebrate species using time-lapse photography of the deep-sea floor (watch the video). Dr Jennifer Durden, the lead author from the National Oceanography Centre (NOC), said “Measuring behaviours, like feeding, is a challenge in the deep sea because it’s hard to observe animals for long enough to take many measurements. Long-term time-lapse photography helps us to overcome that challenge. The results may be important in modelling mass and energy transfers through marine ecosystems, such as how carbon cycling may be influenced by climate change. The findings will add to NOC’s ongoing efforts to improve the modelling of ecological processes. 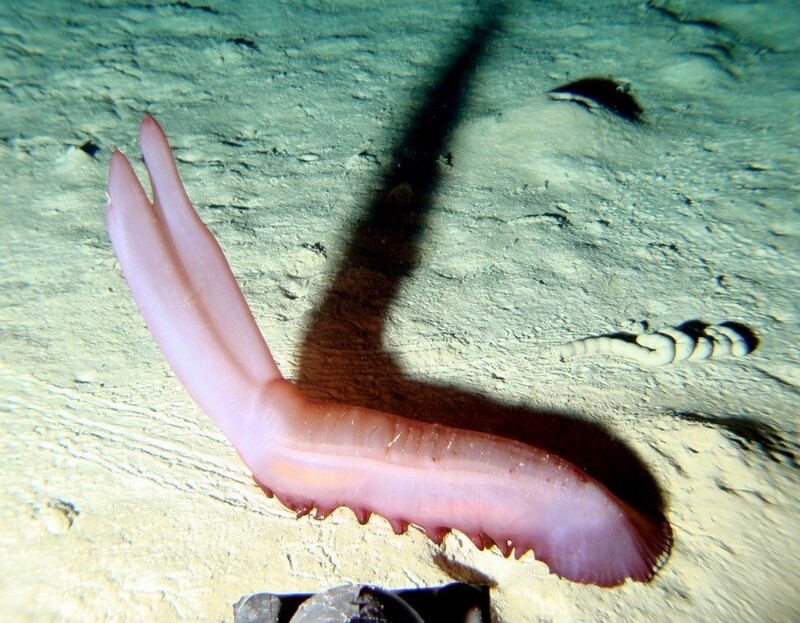 The scientific team, from the NOC and the Monterey Bay Aquarium Research Institute (MBARI, USA), studied invertebrates feeding on the seafloor at two abyssal sites, one in the Pacific and one in the Atlantic. This forms part of the NOC’s ongoing research at the Porcupine Abyssal Plain Sustained Observatory, and MBARI’s research at Station M, each the site of a 30-year time-series. The project was funded by the Natural Environment Research Council (Climate Linked Atlantic Sector Science project) and the David and Lucille Packard Foundation.